Jaguar released this image of the redesigned XF on Tuesday. Jaguar will unveil the redesigned, second-generation XF sports sedan at the New York International Auto Show next month. The 2016 midsize XF sedan will be built on Jaguar’s new aluminum-intensive architecture, the company said late Tuesday. The XF, which went on sale in the United States in 2008, competes with the Mercedes-Benz E class and the BMW 5-series sedan. U.S. deliveries of the XF peaked at 8,578 in 2008. The redesigned sedan will be the second Jaguar to use the company’s new aluminum architecture. The compact XE sport sedan goes on sale in Europe in May and in the U.S. in 2016. The redesigned XF goes on sale this fall. 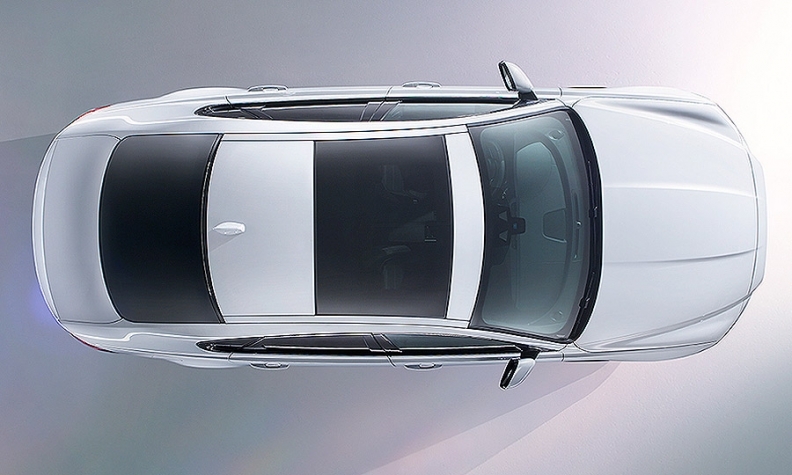 Ian Callum, director of design for Jaguar, called the redesigned XF “elegant, handsome and with proportions that imbue a great sense of integrity. Jaguar plans a lavish event streamed online to promote the car on Tuesday, March 24, in London. British stuntman Jim Dowdall will drive the car along two 1.3-inch-diameter wires over water to highlight its lightweight construction.